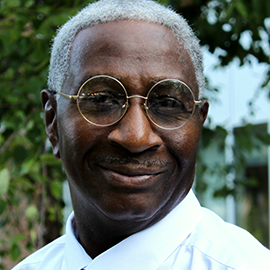 Rudolph Willis is board certified in Internal Medicine and Oncology. Dr. Willis joined the Chesapeake Palliative Medicine team in August 2017. Previously, Dr. Willis was the Chief of Medical Oncology beginning in 2005 and Vice Chief of Staff at Eastern Regional Medical Center in Philadelphia, Pennsylvania since 2011. As well, Dr. Willis served as Adjunct, Clinical Assistant Professor of Medicine at Drexel College of Medicine from 2011 – 2017. He received his Medical Degree in 1977 from Washington University School of Medicine in St. Louis, Missouri and a Bachelor of Arts in Biology/Chemistry from Northwestern University in Evanston, Illinois.